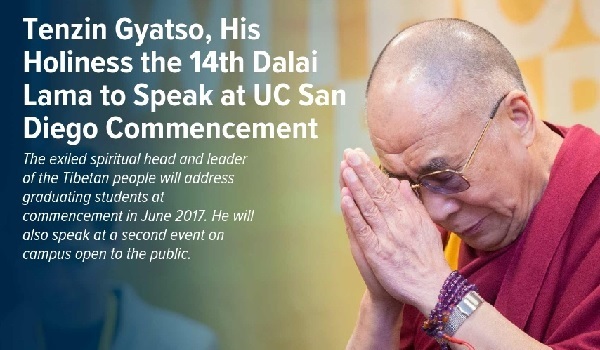 Dalai Lama to speak at UC San Diego Commencement (UCSD). China’s global censorship campaign has reared its ugly head again, this time at the University of California-San Diego (UCSD). There, a nationalistic overseas Chinese students’ organization with ties to the Chinese consulate-general in Los Angeles has attempted to censor a graduation speech by exiled Tibetan spiritual leader the Dalai Lama. Meanwhile in Britain, a similar Chinese students’ organization with ties to the Chinese embassy in London tried to censor a debate at Durham University featuring Chinese Canadian human rights activist Anastasia Lin. These latest efforts at exporting Chinese censorship to Western universities appear to have failed. Similar efforts to impose Chinese censorship abroad have met with greater success, however, and such activities continue to pose a threat to free speech at Western universities. They also risk creating a hostile environment for other Chinese students who do not engage in such activities. The next day, a UCSD chapter of the “Chinese Students and Scholars Association” (中国学生学者联合会, CSSA) – a Chinese government-sponsored “united front” organization with chapters at universities around the world – issued a statement condemning the Dalai Lama’s planned appearance and calling on the university to cancel it, citing his unacceptability in the eyes of the Chinese government. CSSA called the Dalai Lama a “separatist” who seeks to “split the motherland,” claimed that his planned appearance “hurt the feelings” of Chinese students at UCSD, and vowed “to take further measures to firmly resist the university’s unreasonable behavior” in coordination with the Chinese consulate (See Campus Reform, China Digital Times, FIRE, Inside Higher Ed, Quartz, Taiwan Sentinel, The Tibet Post, The Triton). Crudely hijacking the language of diversity and inclusion, CSSA members adopted the hashtag #ChineseStudentsMatter, as though inviting the Dalai Lama to speak at UCSD was tantamount to some form of anti-Chinese racism. Conflating mainland Chinese government policy with Chinese culture, Chinese student Wang Ruixuan wrote in the UCSD Guardian that “The main reason why many Chinese students are upset is that our university shows little consideration about cultural respect, as [the Dalai Lama] is a politically sensitive person in China.” Despite CSSA opposition, the university has no plans to disinvite the Dalai Lama. Anastasia Lin (The Tab, Durham). Meanwhile, a CSSA at Durham University in Britain tried to censor a debate appearance by Chinese Canadian human rights activist Anastasia Lin on February 10. Lin, a Falun Gong practitioner, has been particularly outspoken on the subject of religious persecution in China. CSSA claimed that Lin’s planned appearance was “a violation of the belief and feelings of Chinese students,” compared her to an Islamic State terrorist, and lodged a complaint with the Chinese embassy in London. The embassy then warned the university against Lin’s appearance, saying that “Chinese students are not comfortable about Lin because she’s not friendly to the Chinese government.” The Durham Union debating society went ahead with the event as planned (See BuzzFeed, FIRE, Palatinate, The Tab, Taiwan Sentinel). CSSA is an “unofficial” affiliate of the Chinese Communist Party Central Committee’s United Front Work Department (中共中央统一战线工作部 or 统战部, UFWD), a “shadowy agency” of the one-party state whose mission is “to spread China’s influence by ultimately gaining control over a range of groups not affiliated with the party and that are often outside the mainland.” UFWD seeks to achieve its goals through the use of nominally “non-governmental” front organizations such as the China Council for the Promotion of Peaceful National Reunification (中国和平统一促进会, CCPPNR), which currently boasts some 200 overseas chapters in 90 countries around the world, where it frequently cooperates with overseas CSSA university chapters in pro-Beijing activities. Current UFWD head Ms. Sun Chunlan (孙春兰) is also the executive vice-president of CCPPNR. In addition to their UFWD and CCPPNR affiliation, overseas CSSA chapters maintain close contact with the Communist Youth League (中国共产主义青年团 or 中国共青团, CYL), the party’s organization for students in China. U.S. national CSSA president Mr. Huang Di (黄迪) has appeared at UFWD and CYL events in China and was featured at an annual CCPPNR meeting at Harvard University in 2015. Leaders of overseas CSSA chapters, like Huang Di, are often students with strong CYL credentials from China. China uses overseas CSSAs to monitor, manage, and “protect” Chinese students from Western political influence while it uses them to “condition the West” according to China’s preferences and China’s methods of control. According to Chinese Communist Party directives the targets of “overseas patriotic united front work” are Chinese students, professionals, and others living abroad including those who have taken foreign citizenship. Among its main tasks are to struggle against all forms of “separatism” and to unite all Chinese people worldwide “to achieve the complete reunification of the motherland.” Chinese students and CSSA chapters at universities in the United States and elsewhere have been identified as a particular focus of the Communist Party’s overseas “united front work,” frequently orchestrated by Chinese embassies and consulates abroad (See ChinaChange, The China Story, Radio Free Asia, Sydney Morning Herald 2014 & 2016, The Wall Street Journal). Overseas students a focus of China’s “united front work” (U.S.-China Press). In January 2017, U.S.-based CSSA and CCPPNR organizations joined in protest against Taiwan president Tsai Ing-wen’s visits to the United States and to demand adherence to the “one-China principle.” Previously, these same groups had joined in protest against a visit by Tsai as Democratic Progressive Party chairperson and co-organized an annual CCPPNR meeting at Harvard featuring national CSSA president Huang Di in 2015. In 2016, New Zealand-based CSSA and CCPPNR organizations joined to issue a “solemn statement” supporting China’s claims on islands in the South China Sea. In 2014, CSSA and CCPPNR organizations based in the United States, Canada, Australia, New Zealand, and Western Europe joined in protest against Japan’s “occupation” of the Diaoyu/Senkaku Islands. As the World Organization to Investigate the Persecution of Falun Gong has noted, CSSAs under the direction of and funded by Chinese embassies and consulates abroad have long been involved in the Chinese Communist Party’s efforts to silence its critics including Falun Gong practitioners like Anastasia Lin. In 2015, a CSSA at Columbia University with a history of anti-Falun Gong activities was shut down for violating university financial and organizational policies. CSSA anti-Falun Gong activities have also been observed at the University of Nevada-Las Vegas, at universities in Canada, at Australian National University, and at Magdeburg University in Germany. CSSAs have likewise previously opposed Tibet human rights activism including visits by the Dalai Lama at Western universities. In 2008, the University of Washington bowed to CSSA demands that an appearance by the Dalai Lama would include no discussion on the political status of Tibet. That same year, a CSSA at Duke University was implicated in death threats against a Chinese student accused of pro-Tibet sympathies; and members of a CSSA at Cornell University targeted a professor with abusive online messages for showing a film on human rights issues in Tibet. On many campuses, CSSAs have a close working relationship with Chinese government-run Confucius Institutes. Confucius Institutes are a noted part of Beijing’s “overseas propaganda” apparatus, and their presence on Western university campuses has been described as “academic malware” and as an educational “Trojan horse” due to their censorship practices and overtly propagandist character. Universities including the University of Chicago and Pennsylvania State University have severed ties with Confucius Institutes and the American Association of University Professors has called them a threat to academic freedom due to their relationship with the Chinese government. CSSA’s have frequently been suspected of spying activities, particularly spying on Chinese students by other Chinese students to ensure their continued loyalty to “the motherland” while abroad. Chinese government-funded CSSAs at European universities have additionally been implicated in cases of industrial espionage. 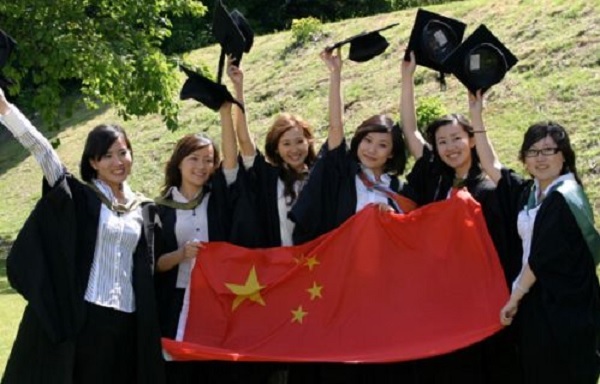 Most Chinese students who go abroad do so simply to study and to enjoy the experience of life in another country. These students should be welcomed with open arms. Some, however, have chosen to function as agents of Chinese government propaganda, censorship, and surveillance at universities abroad. Such activities are a threat to free speech and academic freedom, not only for Chinese students, but for university communities at large.